← Aelbert Cuyp. Dutch Painter. 1620 – 1691. Lived & painted in Dordrecht. 36 years ago today we landed on the moon. This isn’t a picture of that. This is 4 months later. 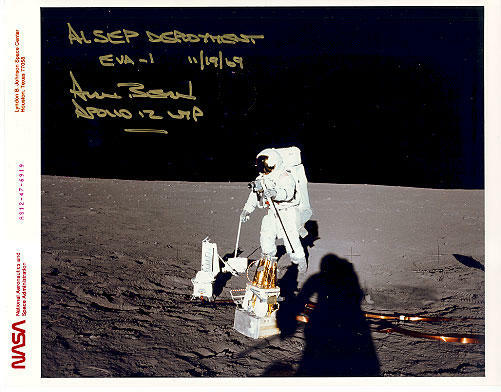 The ALSEP (Apollo Lunar Surface Experiments Package) deployed on the moon. The reason to go to the moon was for humans to make footprints there. The experiments stayed longer than the people, though. My father helped build the one in the picture is why i bring it up. Sometimes apples do fall a ways from the tree.